I study race, class, and social change. My research examines coalition-building among African American, Chicano/a-Latino/a, and white community organizers across the long civil rights era, from the 1930s to present. I explore how a wide range of activists organized their separate bases and how and why they frequently built alliances across the color line. I weave together traditional written records from buried archives with new oral history interviews. With these sources, I write narrative histories that combine scholarly analysis with accessible prose for popular audiences. My work contributes to the separate fields of African American, Chicano/a-Latino/a, and labor and working-class history–and by putting those field into conversation, reveals new insights about each of them. Click here for reviews and additional information or to order now! Not one but two civil rights movements flourished in mid-twentieth century Texas, and they did so in intimate conversation with one another. While most research on American race relations has utilized a binary analytical lens—examining either “black” vs. “white” or “Anglo” vs. “Mexican”—Civil Rights in Black and Brown collects, interprets, and disseminates new oral history interviews with members of all three groups. With support from a National Endowment for the Humanities Collaborative Research Grant as well as private funding, project faculty and staff are conducting interviews in twenty interviews across Texas, in every major city and in smaller towns from Amarillo in the Panhandle to El Paso in far west Texas, from the Rio Grande Valley and the piney woods of Deep East Texas. Our website, the Civil Rights in Black and Brown Interview Database, is a publicly accessible, free, and user-friendly multimedia digital humanities website that provides digital video clips from the interviews to researchers as well as teachers, journalists, and the general public. Rather than simply streaming full interviews or displaying transcripts, this site indexes short clips and embeds a number of detailed thematic metadata codes and tags. End users are able to easily search for detailed subject information across the entire interview collection and add their own tags to help future users. For more information, visit crbb.tcu.edu or “Like” the project on Facebook. This collaborative project uncovers for the complete story of the United Cannery, Agricultural, Packinghouse and Allied Workers of America (later the Food, Tobacco, Agricultural, and Allied Workers), a radical affiliate of the CIO that sought to organize the nation’s entire agricultural commodity chain, from farm to factory. Multiracial and often women-led, the union is best known for its accomplishments on the local scale, thanks to a pair of influential monographs and numerous articles. Yet the national tale of the UCAPAWA/FTA has never been told. The union brought together an unprecedented amalgamation of working people of all colors from coast to coast, equally divided among women and men, and wove them together into a single social movement committed to not just trade unionism but also the twin struggles against racism and fascism. The members ranged from diverse Asian farmworkers in Hawaii to Filipino salmon packers in the Pacific Northwest and from Chicana cannery women in California to New Mexican sugar beet workers in Colorado. The Mexicano pecan shellers in Texas that I’ve written about joined as well, along with black and white tenant farmers and cotton oil processors in the Memphis/Arkansas Delta region and African American sharecroppers in Alabama. Black tobacco and cigarette manufacturers in the North Carolina and Virginia Piedmont collaborated with Latina/o cigar workers in Florida and New York. White ethnic Campbell’s Soup workers in Chicago and Camden, New Jersey, also joined the cause, as did many others of all backgrounds from across the nation. When these polyglot workers first assembled in Denver in 1937, they had never met, but they elected a diverse slate of officers and regional directors that gave them the confidence to pool their resources into a national union. They saw themselves as the spearhead of organized labor in the countryside, the one group that could connect struggling farmers with urban industrial workers. By 1940, they embraced the war effort in order to use the union as a wedge to democratize the nation’s political-economy and even its foreign policy. By 1944, just before the end of the war, the union had grown to become the seventh largest affiliate of the CIO, a committed civil rights union that defeated several American industrial giants and now threatened the caste systems of the South and Southwest—and the reassertion of patriarchal norms in the postwar period. Ultimately, the union could not survive the employers’ counteroffensive during reconversion, and it succumbed to the Second Red Scare by 1950. The national tale of their radically democratic, multiracial unionism has been lost to history, the union’s central office records destroyed in a mysterious flood. By organizing more than a dozen scholars working on different pieces of the subject, my collaborators and I are finally assembling all of the locally-held primary sources and separate case studies into a single synthesis. The union’s combined story is even more significant than are those of the distinct chapters of California, North Carolina, and other locales. The fact that far-flung unionists joined together in a single unit—and the discussions and acts of solidarity that occurred when they assembled—deepen historians’ sense of the possible during the New Deal and World War II periods. At the point of production and in the halls of Congress, UCAPAWA/FTA proposed bold solutions to the era’s most vexing problems, be they social, macroeconomic, or geopolitical. The union represents a window into the left wing of U.S. labor history that has long been subordinated to the dominant narratives of the steel and auto industries and their unions. The UCAPAWA/FTA also offers a powerful example for today’s organizers. Progress on the project is well underway. After a series of conference panels starting in 2014, we invited a dozen scholars to present papers at a symposium at the University of Mississippi in March 2018. Each contributor has prepared a full article-length chapter based on their expertise, and we are now working to pull the stories together into a single narrative frame. We will add some new contributors and assemble again in May 2019 at a conference in Durham, after which we will submit three end products to the University of North Carolina Press: a scholarly anthology, a slim synthetic national narrative history for activists and classroom use, and a digital humanities website. My next monograph-in-progress examines coalition-building in an era in which such activist efforts are scarcely thought to exist. Like Blue Texas, which centers on new actors in unexpected places to recast the placid 1950s as a period of fierce contestation, The Radical 1980s asks what the Age of Reagan looked like beneath its conservative surface. Diving into the subterranean community organizing that only occasionally bubbled up into formal politics, I explore a wide range of social movements that combated the Reagan Revolution, with a particular focus on the Central American sanctuary movement and the solidarity struggle against apartheid. Many of these activists, of all colors, also found inspiration in Rev. Jesse Jackson’s two presidential campaigns and, at times, they built relationships that propelled them into each other’s causes. More immediately, they endowed the Rainbow Coalition with its antiracist platform of renewed domestic social spending and international humanitarianism. I am still conducting both archival research and oral history interviews for this project. “San Antonio Chicano Organizers (SACO): Labor Activists and El Movimiento,” in The Chicano Movement: Perspectives from the Twenty-First Century, ed. Mario T. Garcia (Routledge, 2014). “Chicano Labor and Multiracial Politics in Post-World War II Texas: Two Case Studies,” in Life and Labor in the New New South, ed. Robert H. Zieger (University Press of Florida, 2012). Digital reprint by permission of the University Press of Florida. “An Unmistakably Working-Class Vision: Birmingham’s Foot Soldiers and Their Civil Rights Movement,” Journal of Southern History LXXVI, no. 4 (November 2010): 923-960. “Connecting to Activists and the Public through the Civil Rights in Black and Brown Oral History Project,” LAWCHA Watch column in Labor: Studies in Working-Class History of the Americas 13, no. 3-4 (December 2016): 15-17. “Larry Goodwyn, Texas, and Me,” chapter in book edited by Wesley Hogan and Paul Ortiz. Submitted. Conference Papers, Invited Talks, Public Presentations, etc. 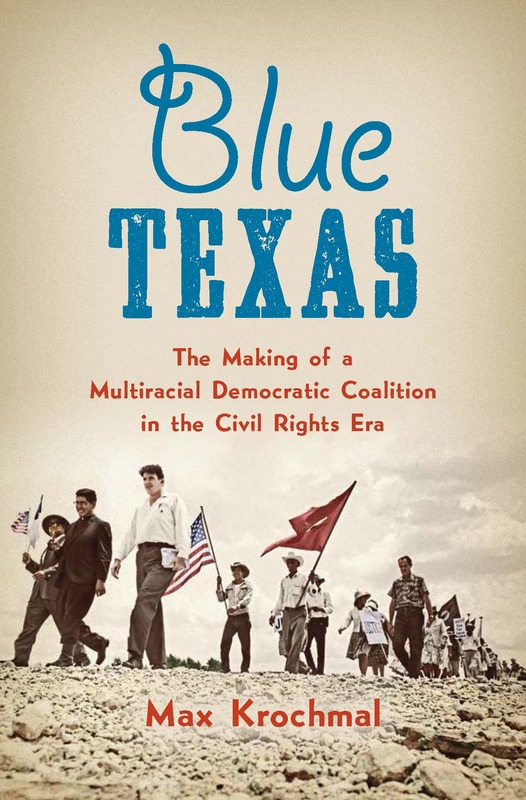 National Endowment for the Humanities, Collaborative Research Grant, $200,000, 2015-2018, for Civil Rights in Black and Brown: Oral Histories of the Multiracial Freedom Struggle in Texas, 1954 – Present (principal investigator). Awarded September 2015. Private gift, Summerlee Foundation, Dallas, for “Civil Rights in Black and Brown: Oral Histories of the Multiracial Freedom Struggle in Texas, 1954-Present,” $40,000. Awarded September 2014 for two-year project. 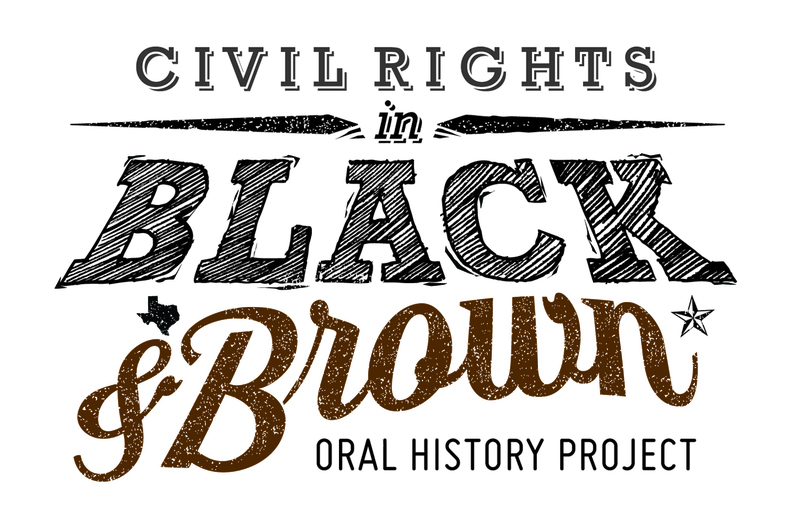 Private gift, Brown Foundation, Inc., of Houston, for “Civil Rights in Black and Brown: Oral Histories of the Multiracial Freedom Struggle in Texas, 1954-Present,” $100,000. Awarded and received June 2014. Latino Americans: 500 Years of History grant program, National Endowment for the Humanities (NEH) and American Library Association, grant in collaboration with the City of Fort Worth, $10,000, September 2015 (sub-contracted services to Civil Rights in Black and Brown, ~$5,000). Post-Doctoral Fellowship, United States Studies Centre, University of Sydney (Australia), 2011-2012, $86,000 AUD. Declined. Alternate, Charlotte W. Newcombe Doctoral Dissertation Fellowship, Woodrow Wilson National Fellowship Foundation, 2010-2011.